Your child spends an enormous amount of time at school. Learn how to establish and maintain a good relationship with your child’s teacher. Make yourself available as a resource and you’ll find the school year running smoothly. Maybe it's a throwback from being in school many years ago, but sometimes it can feel like you're at odds with your child's teacher. Shake off any lingering feelings of being judged (or graded) and remember that you and your child's teacher both want the best for your child. When you develop a positive relationship with your child's teacher, you're investing in the best learning experience possible for your child. Keep lines of communication open from the first day of school to the last day of school. Begin by introducing yourself and more importantly, introducing your child. You know your child's quirks, strengths and needs the best. Stick to important bullet points and major traits unless your child has special needs. If that's the case, make sure you share the best ways to help your child with her specific struggles. Check in at least once a month during the school year, whether it's over the phone, email or even just a quick hello at pick-up time. Don't make excuses when it comes to volunteering. You don't need to be Class Mom, but you should help out on at least one occasion. Drive for a field trip, help tutor your child's classmates or volunteer during an event outside of school hours. Teachers rely heavily on volunteers and your help will be greatly appreciated. Your presence in the classroom and during school activities will give you a chance to connect with your child's teacher. Most teachers have to use personal funds to stock up on classroom supplies. If your child's teacher requests donations for the classroom, pitch in any way you can. 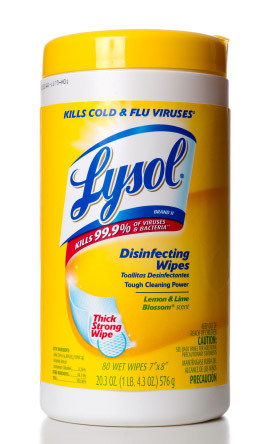 Even one box of disinfecting wipes or tissues can help out. If your budget is tight, use coupons and sales to pick up a few things on the classroom wish list. Ask your child's teacher if she accepts donations of gently-used books, toys or electronics and give those items to the class next time you're cleaning and purging. Every student runs into trouble one time or another during the school year. Whether that trouble is due to a behavior problem or academic struggles, try not to get defensive. While you have a strong mama-bear need to protect your child, you need to trust in the teacher's judgement. Work as a team instead of working against each other and you'll be more likely to guide your child toward success in the classroom. If there's truly a problem with the teacher's behavior or methods, take it to the administration instead of getting in a confrontation.